This property at 109 Kingsland Court SW , Calgary, ABT2J 5M3 has listed by Sheri-Lee Presenger but has not been updated for quite some time. Please contact the listing agent and broker for up to date information. 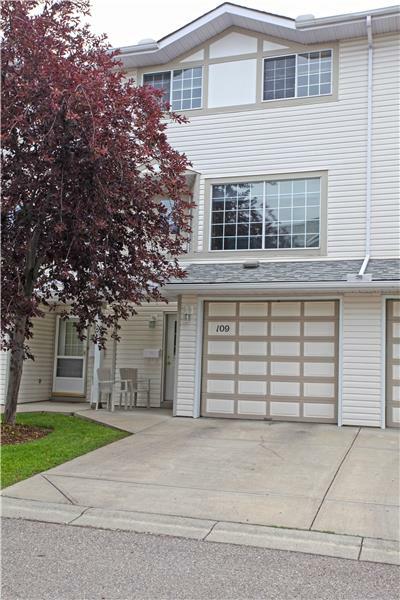 Excellent Rental or Roommate Flat in a Superb location this 4 Level Split is located on 75th Ave and MacLeod Trail SW, in a quiet complex. Soaring ceilings, large kitchen with updated appliances and plenty of counter space, adjacent to the dining room finished with hardwood floors. The loft-style living room open to the dining room, features a cozy fireplace & newer blinds. The top floor has a HUGE 2nd bedroom, a full bathroom & a master with both a walk-in closet and 3 piece ensuite. The fully finished basement. Excellent Rental or Roommate Flat in a Superb location – this 4 Level Split is located on 75th Ave and MacLeod Trail SW, in a quiet complex. Soaring ceilings, large kitchen with updated appliances and plenty of counter space, adjacent to the dining room finished with hardwood floors. The loft-style living room open to the dining room, features a cozy fireplace & newer blinds. The top floor has a HUGE 2nd bedroom, a full bathroom & a master with both a walk-in closet and 3 piece ensuite. The fully finished basement can be used as an office/extra living room. Here you will also find laminate floors, laundry, storage, in-floor heating hook-ups, and the central vacuum system. Enjoy your days & nights sitting on your spacious deck. This home is clean, Move-in Ready & has an abundance of natural light! Walking distance to the Farmers Market, grocery stores, C-Train stations, great restaurants, Chinook Mall and Schools, this is the perfect place to hang your coat and call it your home.